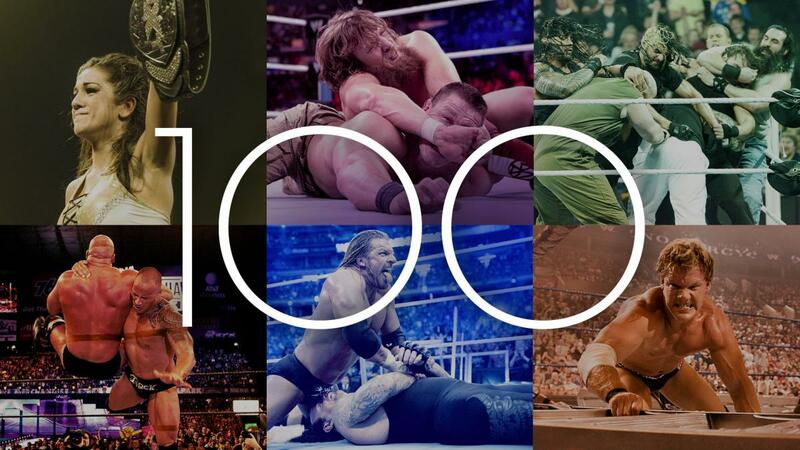 It got me to thinking…before I die, I must watch all 100 matches! And also, do all 100 matches really deserve to be in the list? After that thought, I got out my pen and paper and decided to review each match as I watch it. Does each particular match belong in the list? If not, what could replace it? Of course, it’s going to take a while (I’m up to match 84 at this point in time…). But I’m willing to put many man-hours into my endeavour to go to my grave knowing I watched all 100 matches! After I reach the hallowed #1 spot, I’ll write a review of the whole list. So, bear in mind that the list only includes matches that occured before 24/2/2017 AND those on the WWE Network!